Download latest database files above. You will need winrar to extract the files. New ice cream fishes, latest mb, coin cheat with pink throne, cash petlings, lots of wig dyes, mixed wig dyes, peet colors, past mb items. For wigs, go to MysteryShop > Glow in the Dark. 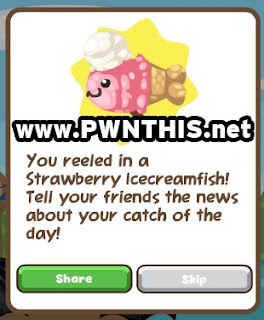 For New ICE CREAM FISHES items, use Apple (purchase lots of Apples BEFORE using the cheat so it will only cost u yellow coins) to fish for it. For Mermaid Items, use BBQ Mushroom to fish for it.